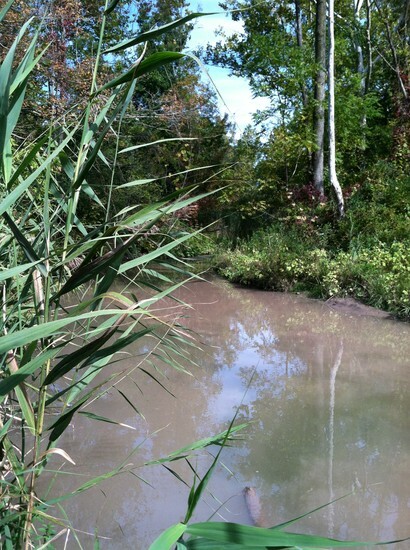 Onondaga creek and Onondaga lake have been polluted by Mudboils for years. They are located in the southern side of the watershed. Mudboils are muddy springs that come up through vents that are under ground. (They have been accrued because when people were done mining they left an empty space under ground. That then filled with water to create the mudboils.) They dump large amount of sediment into Onondaga Creek witch is then carried into Onondaga lake. The Mudboil area is posted property, its posted for everyone's safety. 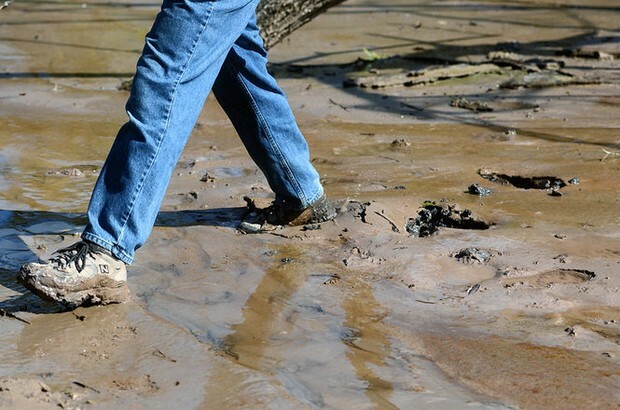 if you were to walk into an active mudboil you would sink into it almost like quicksand, as you can see above someone is sinking into one of the active mudboils.